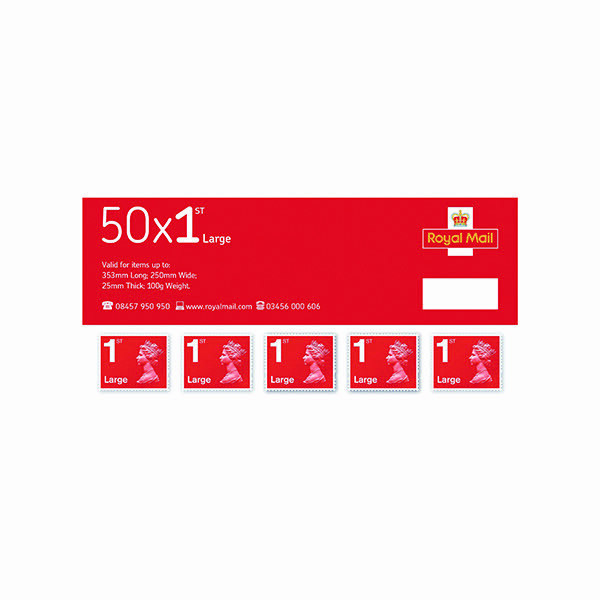 These first class postage stamps are suitable for mailing large items including A4 documents. Use for larger or bulkier items measuring up to 353 x 250mm, with a maximum thickness of 25mm. 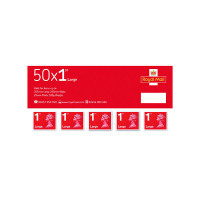 This book contains 50 first class large letter postage stamps.